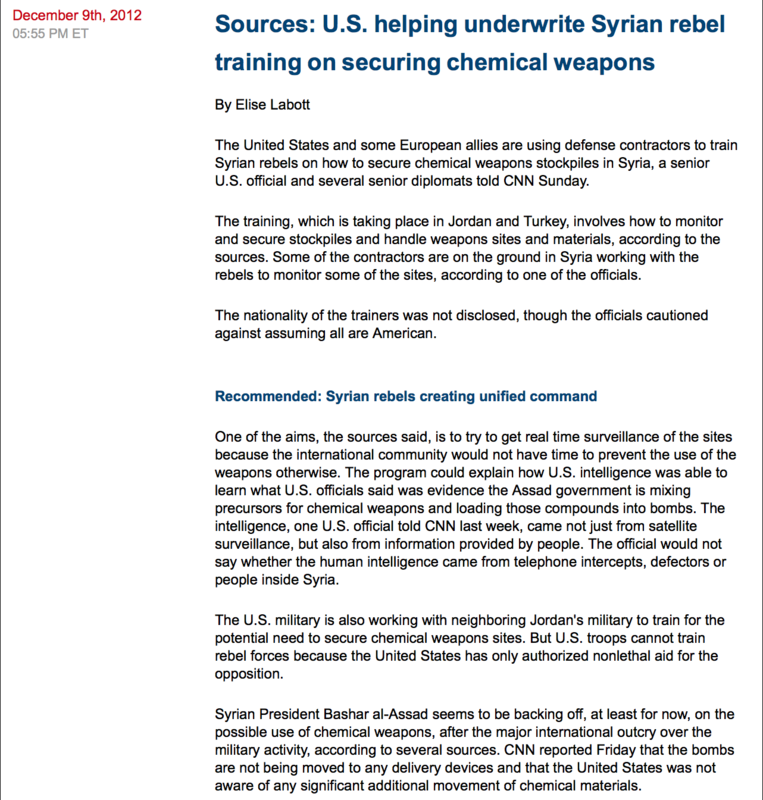 Pentagon Trained Syria’s Al Qaeda “Rebels” in the Use of Chemical Weapons 5 out of 5 based on 8 ratings. 8 user reviews. @Southfront, the photos are not visible. Please check. 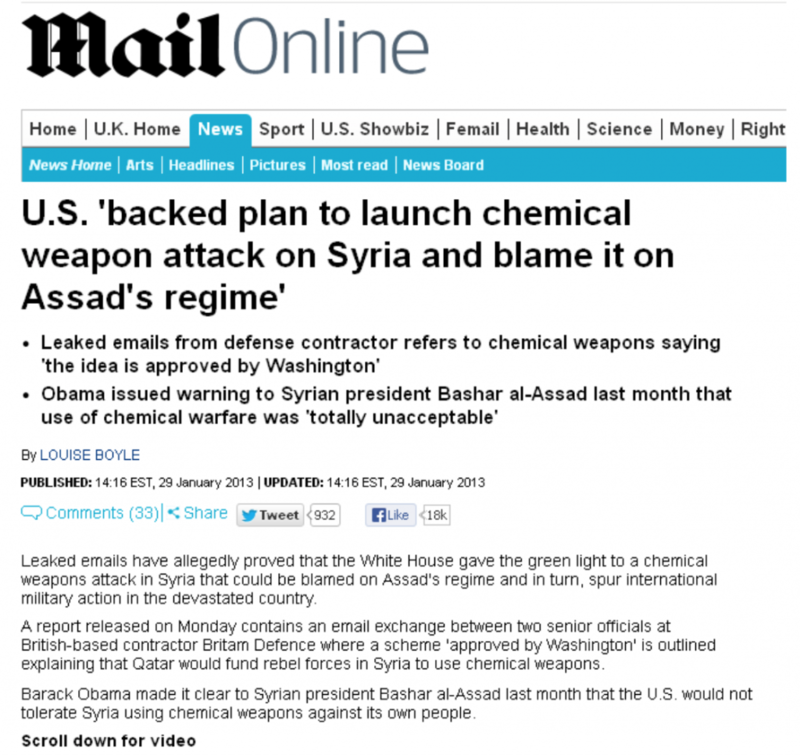 Even if Trump comes and tells “We have made the chemical attack”, nobody will care. As long as Syrians keep being sheep to the west, expect nothing. The power is the people. Where the people doesn’t respect himself, expect nothing. Rememember al qaida in syria is al nusra which became moderate rebels which became free syrian army which became as shar rubbish and ayrash or something rubbish which will change to something else tomorrow but i call ten year old boy headchopping jihadists who need a good bashing and then public execution for what they have done. Americans are shameless and souless. They can fire a baby just born. The problem in this world is that so many people like them. They can also kill unborn children too. the western media serves the same criminal organization which is in control of the US congress and large parts of its legislative and judiciary branches. Are they fighting for democracy? No. Would they kill you if you told them you believed in democracy? Yes. So, they are NOT moderate at all, Al Qaeda..
Assad’s government is democratic, secular and UN-recognised. So, it is moderate. Yes i agree. I never meant that they were moderate.they are far from it.i only meant to mention what the usa tried to call them. It’s unfortunate that hitting New York City again, the location of the UN that’s much hated by the Jews, is part of the Jew world order play book, and that it includes Samson nukes against not only New York, but other locations as well.